It is the policy of the Cambria County Transit Authority to ensure compliance with Title VI of the Civil Rights Act of 1964; related statutes and regulations that ensure no person in the United States shall, on the grounds of race, color, national origin, religion, age, marital status, sexual orientation, or disability, be excluded from the participation in, be denied the benefits of, or be subjected to discrimination under any program or activity receiving Federal financial assistance. CamTran assures that no person shall on the grounds of race, color, or national origin be excluded from participation in, be denied the benefits of, or be otherwise subjected to discrimination under any program or activity receiving Federal financial assistance. CamTran further assures every effort will be made to ensure non-discrimination in all of its programs and activities, whether those programs and activities are federally funded or not. The objectives for CamTran also include the non-discrimination of persons with disabilities as a result of the passage of the Americans with Disabilities Act of 1990. 5. To ensure that corrective and remedial action is taken by all applicants and recipients of FTA assistance to prevent discriminatory treatment of any beneficiary based on race, color, national origin, or disability. 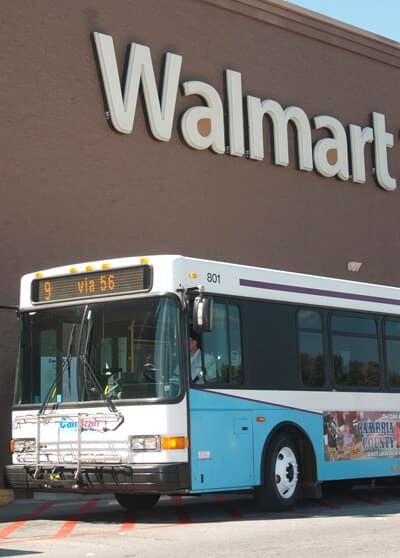 CamTran has adopted a Title VI compliance program that is consistent with the requirements of FTA Circular 4702.1B and the Americans with Disabilities Act of 1990. Any person who is, or seeks to be a patron of any CamTran public vehicle shall be given the same access, seating and other treatment with regard to the use of such vehicle as other persons without regard to their race, color or national origin. No person or group of persons shall be discriminated against with regard to the routing, scheduling or quality of transportation service furnished by CamTran on the basis of race, color or national origin. Any person who believes that they have, individually, or as a member of any specific class of persons, been subjected to discrimination on the basis of race, color or national origin may file a complaint with CamTran. A written complaint must be filed within 180 days after the date of the alleged discrimination. All complaints should be signed and include contact information. You may file a written complaint with CamTran, Safety and Risk Management, 502 Maple Avenue, Johnstown, PA 15901. You may also file a complaint by calling 814-535-5526 Monday through Friday, 8:30 a.m.-4:30 p.m.
Any person who would like additional information on nondiscrimination requirements should call 814-535-5526 Monday through Friday, 8:30 a.m.-4:30 p.m. to make a request. Information will be mailed by CamTran to the person making the request after the person provides CamTran with a mailing address. Upon request, CamTran will make available translated materials for information relating to applications, schedules, routes, etc. The Cambria County Transit Authority is committed to providing nondiscriminatory transportation services to all of its customers and potential customers. CamTran prohibits discrimination in all of its programs and services on the basis of a disability. If you feel you have been discriminated against and would like to file a complaint, you may do so by downloading and completing the ADA Complaint Form. You can also call our office at 1-800-252-3889 to request an ADA Complaint Form. Anyone may submit a request to CamTran for an ADA reasonable modification/accommodation by downloading and completing a Reasonable Modification/Accommodation Request Form. You can also call our office at 1-800-252-3889 to request an ADA Reasonable Modification/Accommodation Request Form. We urge anyone with ADA related questions or inquiries to call 1-800-252-3889 or TDD 1-800-601-8466. 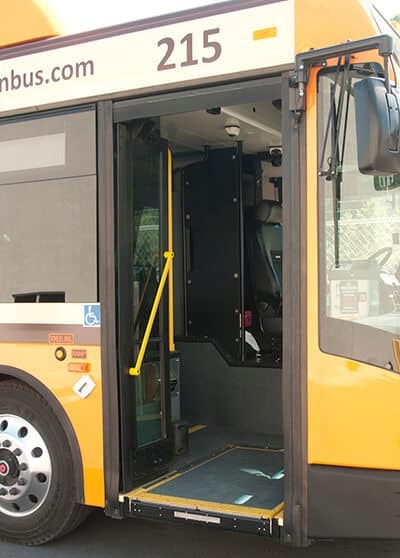 ADA Complimentary Paratransit ﻿S﻿ervice is available for customers who have an origin and destination within 3/4 of a mile of a fixed route but cannot access and/or utilize the fixed route bus due to their disability. Upon request, CamTran will make available in any requested format (Audio, Braille, Larger Print, or Electronic files) any and all requested information. This may also include information relating to applications, schedules and routes. CamTran will strive to work with any individual who requests information to determine the most appropriate alternative formats. CamTran has dedicated equipment such as telecommunications devices for the deaf (TDDs) or other advanced technologies that people with speech and/or hearing disabilities can use. Phone numbers for access are 1-800-601-8466 and (814) 539-1149. All requests for documents must be a written request submitted on a form available at the above address or the link below. Verbal requests shall not be considered official requests for purposes of the timeframes established by the Right to Know Law. Once the form is obtained, requests will be accepted via facsimile, mail, e-mail or in person. The Authority shall not be required to create a record which does not currently exist or compile, maintain format, or organize a record in a manner not maintained as of the date of the request. The Authority shall follow the Open Records Law procedures for redaction when appropriate.